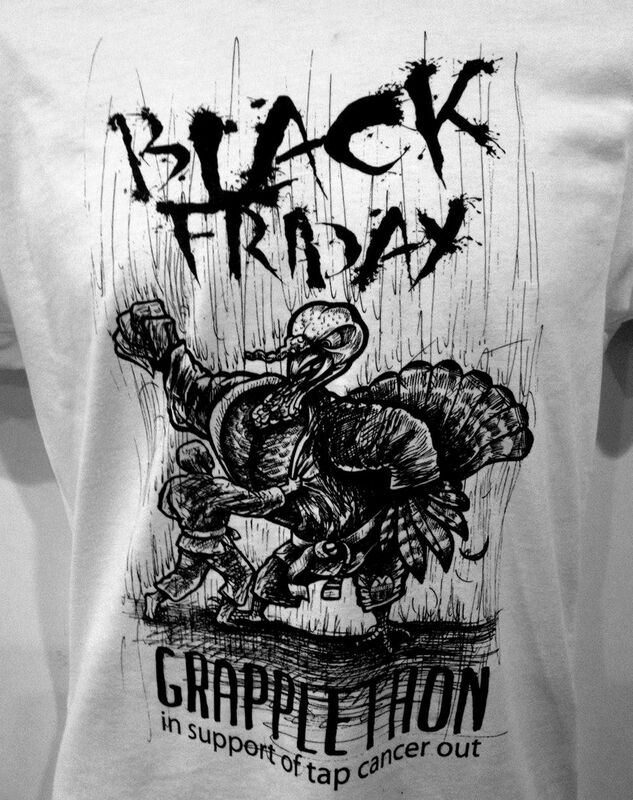 What is the Black Friday Grapplethon? This part is pretty easy. On Nov. 29th (Black Friday) there will be a 12 hour open mat in Granite City, IL (minutes from downtown St Louis) at Finney’s HIT Squad. During this open mat will are committed to having at least two people rolling from 8am to 8pm. The event will have free food and drinks for the participants and EVERYONE is welcome. We’ll have gi and nogi grapplers, kids to seniors and every skill level will be represented. Black Friday Grapplethon is raising funds to support to Tap Cancer Out (http://www.tapcancerout.org), a jiu-jitsu based 501(c)(3) nonprofit raising awareness and funds for cancer fighting organizations on behalf of the grappling community. Tap Cancer Out is currently raising funds for the Leukemia and Lymphoma Society. All monetary donations thru the fundraising page will be accompanied by a receipt and are tax deductible. I’ve had several people ask me why we’re doing this and why Tap Cancer Out. The answer is simple: we’re doing it because our community needs events like this. We need to come together, regardless of school affiliation or style of grappling. We all love grappling. Why shouldn’t we branch out and meet more like minded individuals? I want to see more posts/articles about grapplers working together to support each other and good causes. Don’t you? We picked Tap Cancer Out because almost everyone that I know has been touched by cancer and they are a home grown organization that is run by grapplers for the grappling community. What exactly is this Grapplethon thing? First off, you do not have to roll, or even be present, the entire time (or at all if you just want to donate). In the next few weeks everyone that has committed to the participating, click HERE to let us know you’re coming, will be contacted and asked to pick a length of time that they’d like to roll and the time(s) that they want. For example, John Doe is going to roll for an hour. He’ll roll from 8:30a to 9a and again from 9:30a to 10a. The sign-ups will be in 15 minute increments. There will be plenty of people around of all ages and belt levels for you to roll with, our youngest participant is 6 and we will have several grandparents on the mat. It is NOT required that you commit to a time to roll or participate. Just show-up, hang out, roll and have fun. We’re also happy to have any spectators that’d like to stop by. 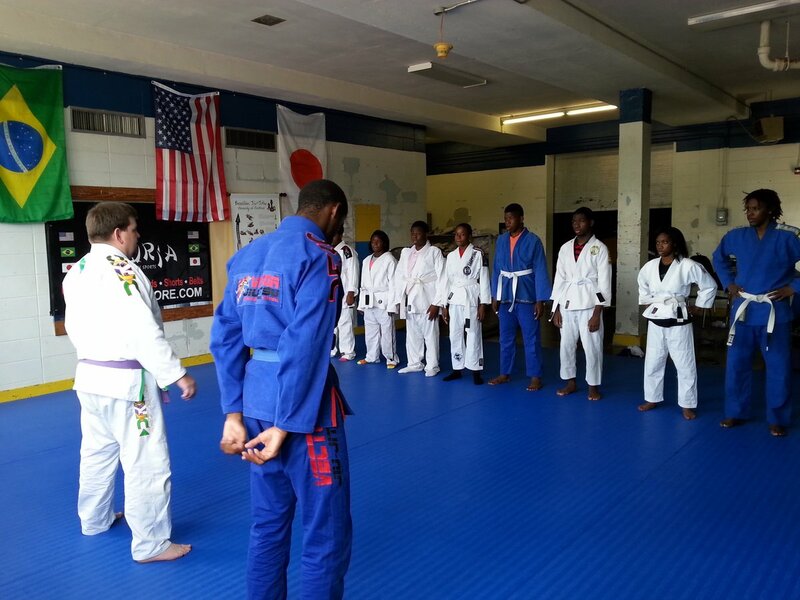 We are working on a few mini-seminars during the event from local black and brown belts. Stay tuned to our Facebook for details on these. How do I Support the event? Buy an event t-shirt at Grappler Source for $25. They can be shipped to you or picked up at the event. All proceeds from the sale of shirts will go directly to Tap Cancer Out. All shirts include admission to the event. Become a Team Fundraiser. All team fundraisers receive automatic admission to the event. Teams are also eligible for prizes based on their fundraising (videos, group privates, etc…). This is a great option for schools that want to participate. Donate directly to the event. Anyone that donates $50 or more gets a t-shirt. All donations include an invitation to the event. Come to the event (driving directions). We are requesting donations at the door for admission to the event ($10 suggested donation). Throughout the event we’ll have raffles and mini-contests for prizes from our sponsors. Response for the event has been tremendous. At the time that I’m writing this we have a little over $1,700 in donations! I’d like to thank the following companies for donating gear and money to support our cause: Ronin Brand, Roots Kimono, OK! Kimonos, Killer Bee Kimonos, OSS Clothing, Tatami, Q5 Labs, Fight Soap, Defense Soap, Modern Flow Kimonos, the Handprint Store, Meerkatsu, Hendrixson Agency, Finney’s MMA and Grappler Source. Finally, thanks to Chadd, Ezra, Carlos, Kris and everyone else that’s supported the project. Feel free to contact me at matt(at)bjjlegends.com or thru our Facebook page with questions. If you’re looking for information on other Grapplethon events around the world check out their website and Facebook page.